What in the world is "glow golf"? It is the latest rage at the Bear Mountain Golf Course during the summer. 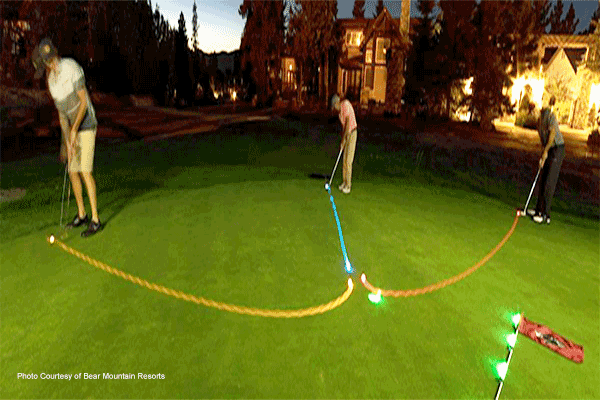 Putters can use LED lit neon balls to have some fun after the sun goes down. Whether you score the game like miniature golf, or you want to try 9 holes, it is a new activity that is making family evenings fun again. Tee off time vary but it has to be dark. Check the Bear Mountain Resorts calendar for the latest tee times so you and your family can try glow golf.